Kolkata has attracted homeowners for long. The city is known for its traditional heritage and culture. The demand for property in Rajpur Chowhati, one of the popular localities in Kolkata, has been increasing over the years. The prominent developers in Kolkata have come up with exotic apartments in the area. If you are looking for a mix of luxury and comfort, you can move to these apartments. Investors from various parts of the country are interested in buying these apartments. The residential complex comes with beautiful, landscaped gardens. The resident can enjoy several amenities here, including swimming pool, gym, jogging tracks, cycling tracks, meditation hall, clubhouse, tennis court, and so on. 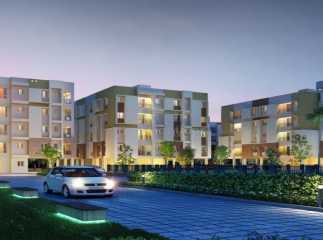 The projects in Rajpur Chowhati are close to the important commercial areas in Kolkata. The residents can reach their desired destinations in quick time from the estates. The apartments are spacious and come with a good mix of elegance and comfort. The demand for properties in the area is rising over the years. Investors and homeowners looking forward to buy these apartments should make their move now. A large number of families have migrated to the apartments. You can book your apartment in the one of the residential complexes now. For investors and homeowners willing to invest in the properties in Rajpur Chowhati,this is the right time to make their investment.